Colourful Design for the Modern Family. Bedding. Decor. Kids. Organic Baby Clothes. Grace has been posting some awesome gift guides over at Design*Sponge. 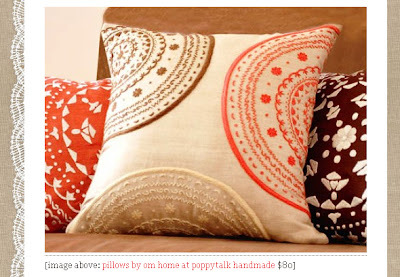 I was checking out all her lovely finds and was pleasantly surprised to see our Mullen Street Pillow listed in her Buy Handmade Gift Guide. How sweet! Be sure to check it out and buy handmade this year! Do you need some extra cash? Do you need flexible hours? 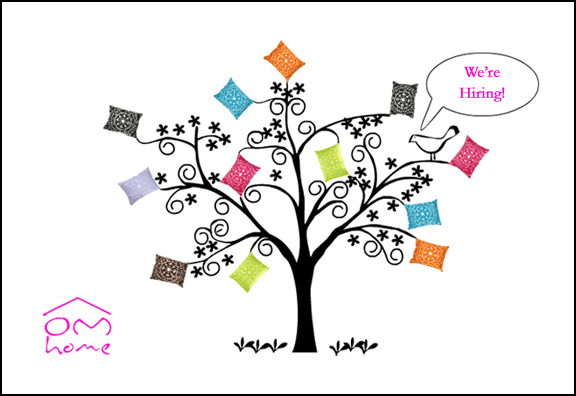 We're looking for a skilled, detail-oriented, friendly and driven Assistant for help in our studio, located in the Riverdale area, just east of downtown. 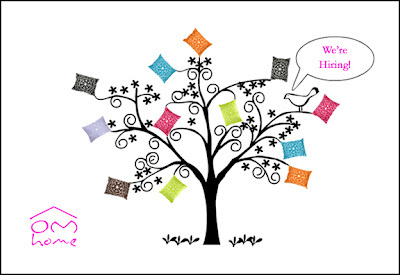 Flexible hours about 5-10 hours/week to start, can go upto 20 hours if we like your work and as the business grows. This is a great opportunity for students or budding entrepreneurs who want to learn how to run a small business... a paid internship! We're very close to public transportation, TTC on the corner, Broadview Subway up the street. Opportunity to bring work home. Tell us about you! Please send us an email with some information about you and your work. Photographs of sample work will be a plus. There will be a short proficiency sewing and assembling test onsite. Learn how to run a small business!